Long Live Patriotic Spirit! 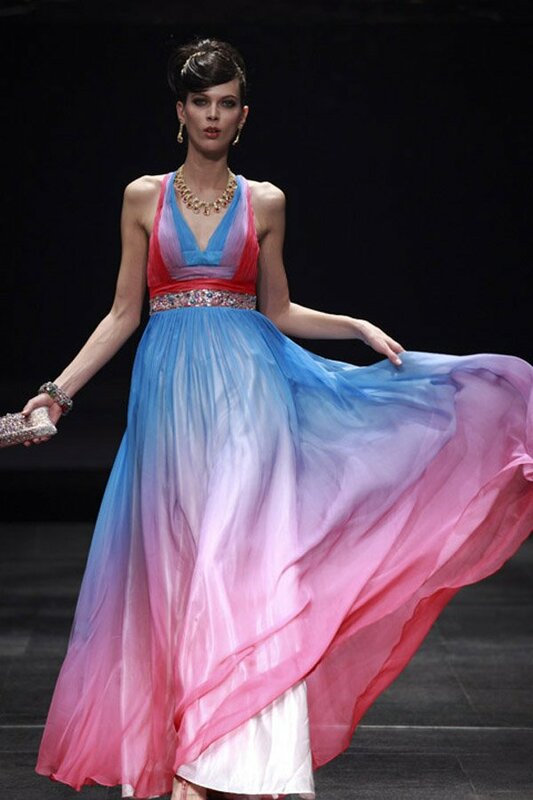 When it comes to fashion, everything with patriotic vibes is welcome and popular. 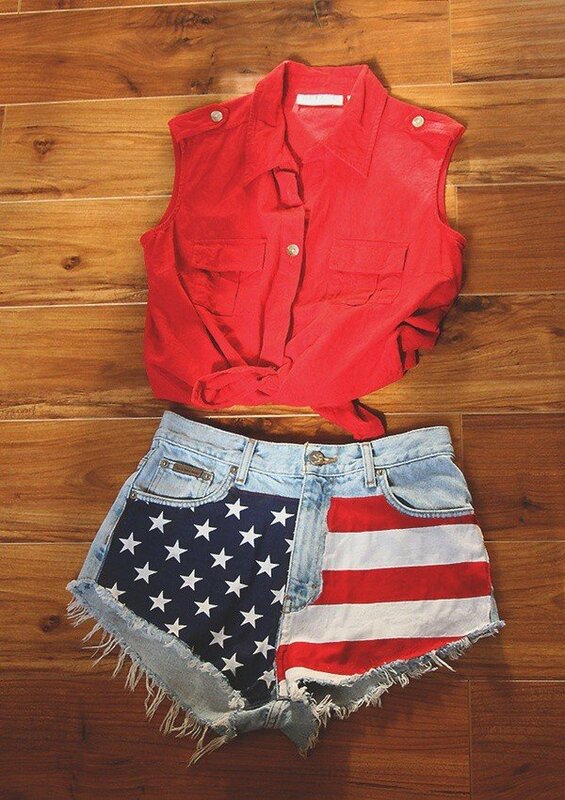 This time, we make this post for fashionistas who love outfits with the patriotic elements. 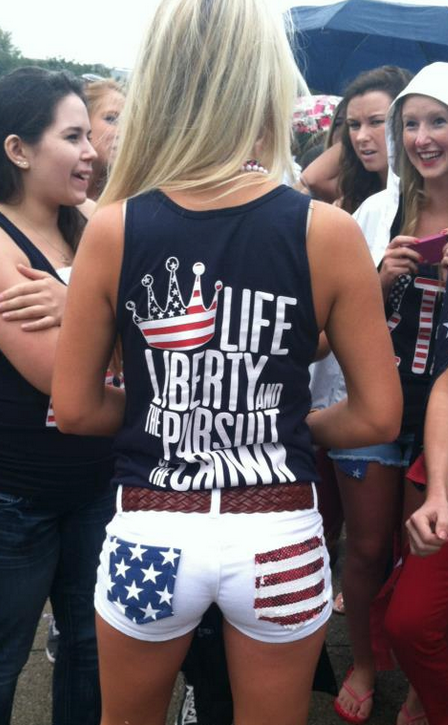 It’s quite common to see people wearing outfits with American flag prints on them. The stars and stripes are the symbols of American national flag while red and blue are its two main colors. So, if you want to go for a patriotic look, you may as well catch these points just mentioned. 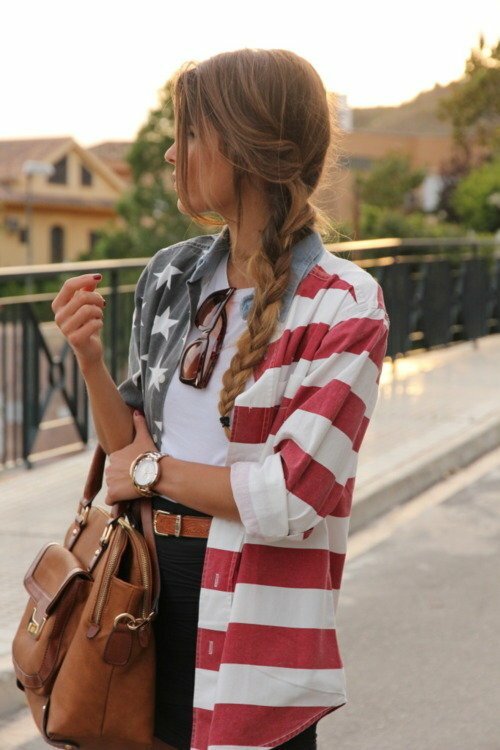 The pictures below are some great patriotic outfit ideas. The prints are mainly stars, stripes and of course some are the flag prints. If your outfit just get a bit hint of the patriotic style, you can upgrade it by taking a cute mini flag. Now, take a look at these outfit ideas and see how to match them. Next time, when it’s a big national festival, just put on your patriotic outfit. Check them out and enjoy!